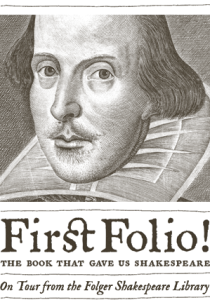 The celebration of First Folio! will be happening all over the Rio Grande Valley, as the Rio Rancho Public Libraries and Albuquerque Bernalillo County Library are offering a series of free Shakespeare programs throughout February 2016. 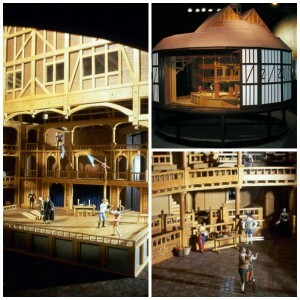 A model reproduction of Shakespeare’s Globe Theater that is at the ABC Library, Main Branch. From RR Library — The first event takes place Saturday, February 6 in the Loma Colorado Main Library Auditorium. It is a Shakespeare double documentary screening featuring two award-winning films presented by their filmmaker, Jilann Spitzmiller—Still Dreaming, at 11:00 am, and Shakespeare Behind Bars at 1:30 pm. Still Dreaming (2014) documents the production of Shakespeare’s Midsummer’s Night Dream by a group of elderly Broadway actors, musicians, and dancers at the Lillian Booth Retirement Home just outside of New York City. Variety has called this film “intriguing…evocative” and for good reason: Shakespeare’s themes of memory and identity loss in the play become more than relevant for the actors who stretch physical and mental limits to go on with the production. Shakespeare Behind Bars (2005) follows an unusual production of Shakespeare’s final play, The Tempest. Set on a desert island with underlying themes of forgiveness and resignation to reality, the play comes to life in the ultimate venue of confinement—a Kentucky prison. Here, the very act of performing theatre is a human triumph for the prisoners who find personal liberation and wisdom in Shakespeare’s 400-year-old words. Lauded by The New York Times, the film was nominated for a Grand Jury Prize at the Sundance Film Festival. It quickly picked up 11 festival awards, including Best of Show at BendFilm and several Best Documentary awards. Filmmaker Jilann Spitzmiller will be on hand to present her films and answer questions. Her work has been presented on NBC, PBS, BBC, the Sundance Channel, Canal +, and Starz/Encore. A second event takes place at Rio Rancho’s Esther Bone Memorial Library, Tuesday, February 23, at 6:30 pm. Songs from the First Folio, performed by the Rio Rancho Youth Choir under the direction of Aaron Howe, illustrates and explains the use of song in Shakespeare’s plays. The program highlights contemporary American composer Matthew Harris’s jewel-like Shakespeare Songs. Librarian Joseph McKenzie will explain the context and meaning of each song. The choir’s co-founder and Artistic Director Aaron Howe has been making music in New Mexico for over 20 years. He has directed church choirs and served as music director for several community theatre and other groups. Under his leadership, the Rio Rancho Youth Choir is an up-and-coming organization which has delighted audiences. The third and final program in the series, So long lives this… Shakespeare Sonnets Live on Stage, presents some of the most beautiful love poems ever produced in the English language. Sonnets celebrating undying love, immortal beauty, and the secrets of the human heart will be read by a spirited troupe of actors drawn primarily from Albuquerque’s vibrant community theatre world. The program takes place on the magnificent stage of Rio Rancho’s Sue V. Cleveland High School Performing Arts Center, Saturday, February 27, at 1:00 pm and is directed by Robin Lane. Actor, director, educator, producer, and member of New York’s Actors Studio, Robin Lane has co-produced fifteen shows (on Broadway, off-Broadway, Los Angeles, Philadelphia, London and Tokyo). Lane is also a two-time Tony Award winner (for La Cage Aux Folles and Will Rogers’ Follies). Cinema, music, theatre. Be sure to enjoy these Rio Rancho Public Libraries programs in February.